China plans to raise the total number of civil airports to 244, including 97 new airports before 2020. In Northern region (Beijing airport, Tianjin airport, Hebei airport, Shanxi airport, Inner Mongolia airport, Liaoning airport, Jilin airport, Heilongjiang airport), there are 30 existing airports and new projects, the Second Beijing airport, Handan airport, Wutaishan airport, Aershan airport, Changbaishan airport, Mohe airport, Fuyuan airport and so far total 24 new airports will be built. 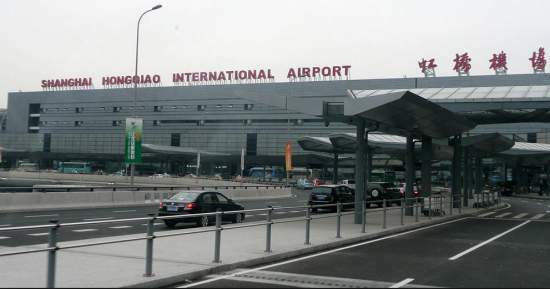 In East China (Shanghai airport, Jiangsu airport, Zhejiang airport, Anhui airport, Fujian airport, Jiangxi airport, Shandong airport), 12 new airports will be constructed in Suzhong airport, Lishui airport, Wuhu airport, Sanming airport, Jiangxi East airport, Jining and other areas, the total will reach 49. In South China (Guangdong airport, Guangxi airport, Hainan airport, Henan airport, Hubei airport, Hunan airport) 14 new Airports will be built. In Southwest China (Chongqing airport, Sichuan airport, Yunnan airport, Guizhou airport, Tibet airport), 21 new airports will be constructed in areas of Qianjiang airport, Kangding airport, Tengchong airport, Liupanshui airport and other cities. In Northwest (Shaanxi airport, Gansu airport, Qinghai airport, Ningxia airport and Xinjiang airport) new airports, Tianshui airport, Longnan airport, Yushu airport, Kanas airport and other total 26 airports will be built. China Builds World’s Highest Airport. Amidst protests, the Chinese government is building the highest airport in the world in the mountains of Tibet. In an effort to attract a million tourists in the Tibet region by the year 2015, the airport is being built for the estimated cost of about 237 million dollars. It will have routes for airplanes to western and southern cities in China, and is expected to accommodate about half a million passengers passing through every year. The airport is just the latest construction project from China’s government aimed at getting more tourists to visit Tibet. They also announced a 5 star hotel in Lhasa, and a theme park that features a living museum of Tibetan culture, both of which were also met with protests. Take A Break Holidays takeabreakholiday, Airports China Accommodation.